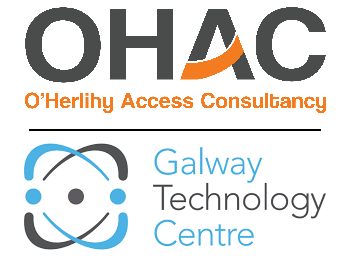 O'Herlihy Access Consultancy (OHAC) is delighted to announce the recent establishment of its Galway office, located in the Galway Technology Centre. This expansion reaffirms OHAC’s commitment to existing regional clients and partners whilst also implementing a strategy for growth. Established in 2007, OHAC is a leading specialist in access consultancy and training in Ireland, with the goal of making services and buildings accessible for everybody. OHAC’s Galway office will complement the accessibility and Universal Design consultancy services already offered from the head office in the Guinness Enterprise Centre, Dublin 8, where OHAC works in partnership with national and international clients ensuring that their built environments, services, human resources and information provisions are accessible to all staff and customers regardless of age, size or ability.